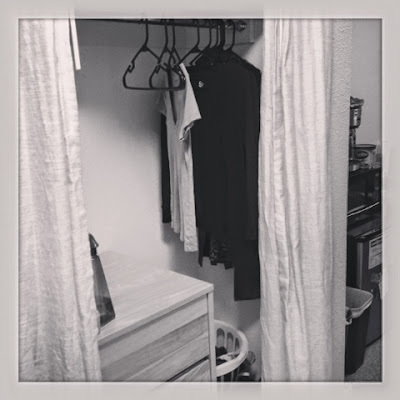 Because I know everyone wants to see my dorm room closet! Well, your wishes have been granted! Weird prompt. I should have changed it... Oh well!